New Yorkers have long been fascinated by portable confections, but none have seduced them as well as the cupcake, the much lauded personalized baked good that keeps recreating itself. New York has cupcakes from bakeries on wheels, mini cupcakes, massive cupcakes, and even vegan varieties. In fact, you'd be hard-pressed not to find a favorite cupcake in this town (though the doughnut is edging in ever-so-slightly as the next gourmet dessert tsunami). Below are a select group of five New York favorites; feel free to compare them one by one in a delicious cupcake eating tour. This jewel of an uptown bakery has locations on the east and west sides of Manhattan, which makes the task of bringing home something sweet that much easier. Look for old-fashioned homemade favorites like banana pudding, bar cookies, and pies among the wide variety of cupcakes; our favorite is the "Devil Dog". Buttercup Bake Shop also offers delivery. 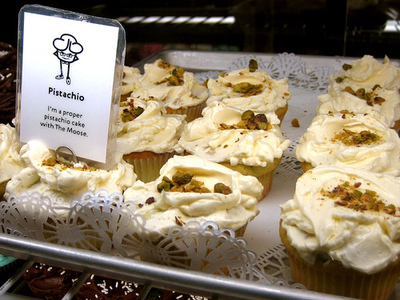 Sugar Sweet Sunshine, a small Lower East Side Bakery, has been happily serving New Yorkers' since 2003 with its perfectly rich, perfectly fresh cupcakes laden with a sugary sweet and almond- or vanilla-infused frosting. Cosmic colors and unusual flavors like pistachio make these cupcakes a surefire hit at any party or get-together. Everything a cupcake should be! They even offer same-day delivery in Manhattan—somebody hide the bathroom scale. 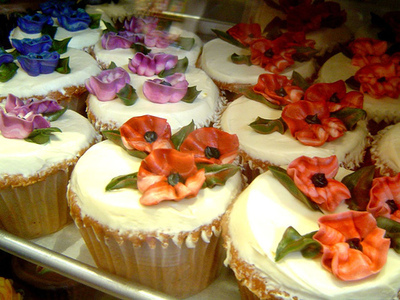 The beautiful creations seen here were created by the Cupcake Café, a longtime city favorite, now with two locations. Delicate floral details like these are hand piped all year long and make great gifts for special occasions such as birthdays. With two sizes available, they're as easy to share as they are to gobble on your own. Favors are fairly basic: a densely packed vanilla or chocolate cake with a not-too-sweet chocolate, vanilla, or mocha butter cream frosting. With an old-fashioned spin on new favorites like banana, coconut, and red velvet, Billy's Bakery is one step ahead of the competition. These cupcakes are heavenly delicious with ample amounts of butter cream to soothe the mightiest cravings. A rich, moist homemade cake, mellow in flavor, but strong enough to hold its own in a sea of cupcakery goodness. Now with three locations! Free of flour, eggs, and dairy, this vegan treat from BabyCakes will be an absolute sensation with fussy mothers, animal-loving activists, and all your allergic-ailing friends. It might look pristine from the outset, but its taste is fabulously decadent. 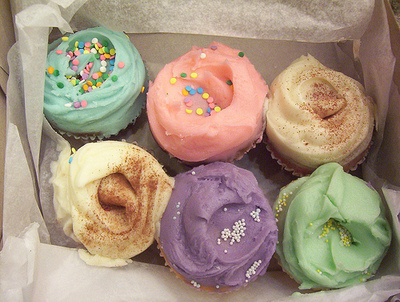 BabyCakes cupcakes and doughnuts (equally healthy) have wowed the New York critics with their mighty rich flavors, despite their lack of refined sugar. Plus, you might run into Madonna who is a big BabyCakes fan. Why? To savor a unique taste in three bites. Great post, Joann. 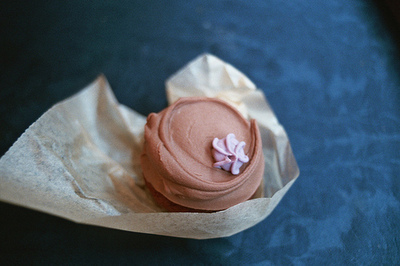 Sometimes, nothing hits the spot more than a yummy cupcake. We love cupcakes in my family. My girls love to bake them. But, we also love exploring our neighborhood and are always looking for great cupcake venues. 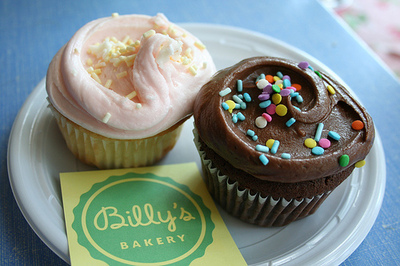 We've been to Billy's Bakery and Cupcake Cafe, and agree that both places serve delish cupcakes. You've given us a great list to try out. Another wonderful place is Baked by Melissa where their mini cupcakes are big treats. Sprinkles (uptown by Bloomingdale's) is also excellent. Good value, perfectly fresh, and easily boxed for gifting. I highly recommend.